Dancescapes: For her show in Bangalore, Anne Maniglier has chosen a series from her travels in Budapest. 11am-7pm. Gallery Espace, 16, Community Centre, New Friends Colony (26326267). Samir Biswas’ watercolours offer viewers a slice of bustling everyday life in Kolkata and other places in West Bengal. They also show how the city has changed over the years. 11am-7pm. Windmill Gallery, 5, Windmill Place, Ayanagar Village (26503859). A blubbering south Indian, a hallucinating ‘Mumbaiya bhai’, a Bengali army veteran who likes to sleep in the buff, an annoying bell-hop who is always hungry for ‘baksheesh’ and a boy who thinks he’s a chimp—all cross paths in this hilarious affair. Director, M. Sayeed Alam; writer, Charles Emery; cast, Ajitabh Sengupta, Niti Phool, Harish Chhabra, Vijay Gupta, Vikram Dawar, Vipin Katyal, Sohan Lal, Yashpal Malik and Harish Dinkar. 7.30pm. Ashok Amphitheatre, Ashok Hotel. Tickets, Rs250, available at the venue (26110101). Kathak danseuse Uma Sharma presents her annual celebration of Sharad Purnima. She and her troupe will present a dance-drama combining elements of Kathak and the traditional ‘raas’ of Braj. 7pm. Lawns, Lakshmi Narayan Temple (Birla Mandir), Mandir Marg. For further information, please contact the Uma Sharma School of Music And Dance (26431978). Belonging to the Agra gharana, Subhra Guha is one its very few female vocalists. She is a disciple of Pandit Sunil Bose and the late Pandit K.G. Ginde and will take part in a tribute to Shanti Sharma. Guha will be accompanied by Mithilesh Kumar Jha (‘tabla’) and Vinay Mishra (harmonium). Dance music fans, rejoice. The popular Mumbai duo of Monica Dogra and Randolph Correia is back in the capital with their blend of electronica and quirky lyrics. The evening will also feature a DJ. The gig is part of this year’s Rocktoberfest. 8pm. Retro Sushi, Hotel Vasant Continental, Basant Lok, Vasant Vihar. Call venue for cover charges (26148800). The plot concerns the plans of usurped King Balor’s son, Prince Nuada (Luke Goss), to awaken the dormant Golden Army, pitiless clockwork über-warriors commissioned and later mothballed by his horrified father. To prevent this, the prince’s twin sister, Princess Nuala (Anna Walton)—to whom he is telepathically linked—elicits the help of Hellboy, his pyrokinetic girlfriend Liz (Selma Blair), aquatic empath Abe Sapien (Doug Jones) and a newcomer to the bureau for paranormal research and defence, Johann Kraus, an ectoplasmic mystic housed in a metal diving suit. Together, they battle the rebellious prince, seething swarms of Tooth Fairies, towering troll henchman Wink and the terrifyingly beautiful Angel of Death. “You’re born, you die... It’s reincarnation... So why did I have to be born poor, dumb and uneducated?" Such philosophical musings on the injustices of a maid’s lot (including accusations of theft, laziness and heavy-handedness, which usually result in job loss), as well as individual hopes and disappointments, are the subject of this offbeat Brazilian comedy. The straight to camera, b/w video diary treatment emphasizes the vulnerability of the maids, while frenetic, fast-cut shots against the backdrop of a neon-lit São Paulo emulate the pace of these servants’ frantic lives. Elsewhere, the camaraderie and chutzpah of the women who support, listen to, and laugh with one another adds vibrancy and colour. Despite its sometimes morose social commentary, the overwhelmingly comic script gives the film a craziness worthy of Pedro Almodóvar. 5pm. Godrej Dance Academy Theatre, NCPA, Nariman Point (66223737). Every year, a 10-woman committee gets together 50 participants and organizes this shopping festival. Clothes and accessories will be available, including bags, slip-on shoes, thong sandals with Swarovski stones, crochet sandals, tie-up shoes, wedges, tunics, Swarovski jhumkas, attachable diamond bra-straps, crystal-encrusted halters, and churidar sets with tie-dye ‘dupattas’ in georgette, crepe and cotton fabrics. 11am-7pm. The Club, 197, DN Nagar, Andheri (W) (66939999). Changing shapes: An untitled work by Ajay Dhandre. 11am-7pm. Bombay Art Gallery, 02/19, Kamal Mansion, first floor, Arthur Bunder Road, Colaba (66156796). Non-fiction writer and poet Bruce Berger discusses culture and nature with Ranjit Hoskote. Berger’s books explore the intersections of nature and culture, usually in desert settings. Those works include the essay collection ‘The Telling Distance’, which won the 1990 Western States Book Award for Creative Nonfiction and the 1991 Colorado Book Award; ‘There Was A River’, whose title piece is a narrative of what may have been the last trip on the Colorado River through Glen Canyon before its inundation by Lake Powell; and ‘Almost an Island’, which recounts three decades of exploration and friendship in Baja California. 6.30pm. American Centre, 4, New Marine Lines, opposite Theosophy Hall, Churchgate (22624590). There’s a new gallery in town, and they’re hosting a show of the great masters to mark their opening. In a note titled Transfiguration, Suresh Jayaram, former principal of the Chitrakala Parishath said, “The most predominant motif of this show is human figuration. 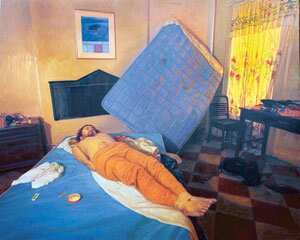 Artists have used the body to convey the complexity and absurdity of human existence." Jayaram described the works in the exhibition as pieces that “focus on issues that relate to the changing dynamics of society and the self". 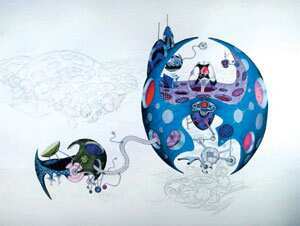 “They are from different cultural zones with distinctive stylization and techniques," he added. The show will present works by Akbar Padamsee, Arpana Caur, Bibekananda Santra, Devraj B., Dilip Mitra, Gogi Saroj Pal, Gurusiddhappa, Jogen Chowdhry, GR Iranna, Laxma Goud, Pushkin, Rege K.P., Prashanth Sahu, T.M. Aziz, Viraj Naik, Sajal Sarkar, Pradeep P., Partho Chaterjee, Mithu Sen and Vaikuntam. 10am-8pm. 10/6, The Chancery Hotel, Lavelle Road (65469627). Monday-Saturday, 10.30am-6pm. Gallery Sumukha, 24/10, BTS Depot Road, Wilson Garden (22292230). It’s an evening of madness and music as Bharat Krishna, also known as Barry, spins crazy mixes of English, Hindi and Tamil songs. 9pm. Opus, 4, 1st Cross, Chakravarty Layout, Palace Junction, Sankey Road (23442580). Director, S. Surendranath; cast, Girija Lokesh, Sihikahi Chandru and Manjunath Hegde. 1 hour 10 minutes. ‘Sankramana’ is a humorous appraisal of the conflicts and ironies that arise between a father and son who are separated by vastly differing generational values, attitudes and aspirations. When time eventually reverses roles for the son, he finds himself on the other side of the zeitgeist and all his earlier arguments. Though ‘Sankramana’ describes a quotidian problem, it attempts to reshape its treatment through imaginative storytelling. 3.30pm and 7.30pm. Ranga Shankara, 36/2, 8th Cross, 2nd Phase, JP Nagar. Tickets, Rs70 (26592777). This is the second annual Indian film festival on dispute and resolution in cinema. Thursday, 16 October, is Conflict Resolution day, called for by the Association for Conflict Resolution and a network of organizations and agencies working for peace and dealing with issues of conflict resolution and mediation. This year, the association Meta-Culture Dialogics is marking the occasion with a week-long event. The Conflict Resolution week will be from 13-19 October. Meta-Culture Dialogics is a non-profit centre for dispute transformation and dialogue, based in Bangalore. Each screening is followed by discussions. The films for this year’s festival will be selected from India, France, Germany, Israel, Chile, Bosnia, Japan, Canada and the US; movies that deal with disputes involving children, families, corporate struggles, water disputes, inter-racial clashes, national conflicts and international wars. The group said the idea behind this year’s selection is to represent conflict in terms of “good and bad", “right and wrong", and “winning and losing". For films and schedules, contact Alliance Française de Bangalore, or call Rafael Tyszblat of Meta-Culture at 9945207719. Alliance Française de Bangalore, 108, Thimmaiah Road, Vasanth Nagar (41231345). Meta-Culture, 12, second floor, Lazar Road, First Main, Frazer Town. Hosted by Mark Rego and DJ Vinay, this popular quiz night is rated by the BBC as India’s best pub quiz. Winners get liquor on the house all night. 9pm. Opus, 4, 1st Cross, Chakravarty Layout, Palace Junction, Sankey Road (23442580). No entry charges. Advance reservations recommended. 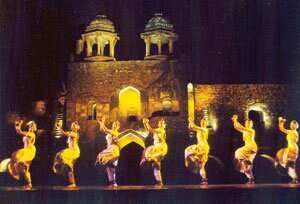 Historic splendour: Don’t miss the Ananya Dance Festival in Delhi. The Melhi Mehta Music Foundation celebrates the birth centenary of violinist, conductor and teacher Mehli Mehta with a series of concerts featuring the world’s best-known musicians. Three distinguished performers, violinist Pinchas Zukerman, cellist Amanda Forsyth and pianist Tatiana Goncharova, come together to perform works by Faure, Franck and Schubert at the concert. 6.30pm. Jamshed Bhabha Theatre, NCPA Nariman Point. Tickets, Rs500-5,000 (66223737). 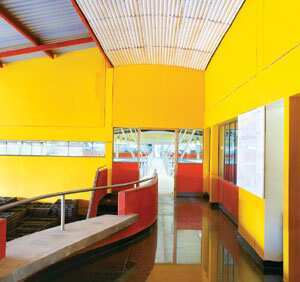 Concrete intentions: The Engineers’ Factory at Nelamangala will be part of the ‘080 Transform’ exhibition. The ‘080 Transform’ exhibition will be inaugurated on 10 October, 6.30pm. Exhibition: Monday-Thursday, 9am-6.30pm; Friday-Sunday, 9am-8pm; Design Dialogue: 11 October, 6.30pm-8pm; Design Walk: 12 October, 11am and 4pm. Goethe-Institut/Max Mueller Bhavan, 716, CMH Road, Indira Nagar 1st Stage (25205308). Visit www.incite.co.in for details or call Nandita Srinivas of Incite on 26713360. We would recommend you sip, not bite. These ceramic mugs come in colour combinations of blue, green and grey. Rs200 a piece. Loose Ends, Plot No. 235B, Beas Cooperative Housing Society, 31st Road (lane opposite Shoppers Stop), off Linking Road, Bandra (W), Mumbai (26453777). Tuesday-Sunday, 11am-8.30pm. In Delhi, there are a number of 24-hour taxi services. Remember, radio cabs take a while to get through to, though. Five lift myths: True or false? • Repeatedly pressing the button will make the lift come faster. True:Modern “destination control" lifts can be fooled into thinking there are more people waiting, so they skip other floors. • You can survive a falling lift by jumping as it hits bottom. False: It is impossible to coincide your jump with the moment of impact. • A secret combination of buttons can override all stops and take you straight to your floor. Partly true: This feature is built into some models for technicians’ use. • The emergency phone lets you make cheap calls while you go to work. False: In India, it just connects to the security guard’s room.